Are you ready to combat the winter blues and get excited for the Saranac Lake Winter Carnival? This massive 10-day event will begin on Friday, February 2nd, and a few announcements have just been made regarding the carnival: plans are underway for the Grand Marshal Reception and Royalty Dinner, the Winter Carnival Buttons are on sale now, and the Winter Carnival Posters will be available very soon. 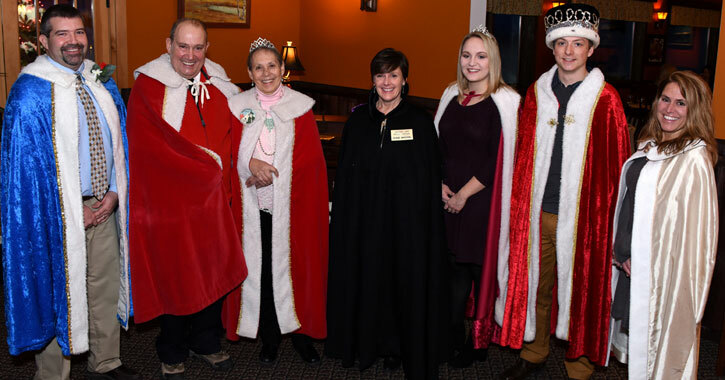 The public is invited to the Grand Marshal Reception and Royalty Dinner, which is taking place on Tuesday, February 6th, at the Hotel Saranac in Saranac Lake. The reception will begin at 5pm with the dinner starting at 6pm. Snacks will be served and a cash bar will be available at the reception. For the dinner, reservations are required and you must choose your entree ahead of time as it will be a plated meal. Choices for adults include pan roasted chicken breast, smoked barbecue pork loin, or butternut squash and gnocchi. The meal also includes soup, bread, coffee/tea, and dessert, and is $32 for ages 13 and up. Kids ages 12 and younger can enjoy a dinner of pasta marinara, bread, a drink, and a dessert for $15. Reservations must be made by January 26th. 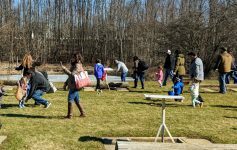 You can contact Milt Adams at 518.891.4367 to secure your spot. All proceeds from the Royalty Dinner will benefit the Saranac Lake Winter Carnival. “Doonesbury” cartoonist and Saranac Lake native Garry Trudeau has released his button design for the 2018 Winter Carnival. Keeping with this year’s theme of “Adirondack Festival,” the button displays Doonesbury character Zonker hiking with a backpack while looking out at a mountain in the Adirondacks with fireworks in the sky. The Winter Carnival buttons are one of the longest-running traditions of the carnival. Residents and visitors love to collect them each year to keep a piece of Winter Carnival history. The buttons are $4 each and are available at the following locations in Saranac Lake: Ace Hardware, Adirondack Bank (Main Street and Church Street), Adirondack Daily Enterprise, Adirondack Wine & Liquor, Amanda’s Village Motel, Ampersound, Bear Essentials Apparel, Belvedere Restaurant, Blue Line Sports, Blue Moon Cafe, Community Bank (Lake Flower Avenue and Broadway), Eco Living, Fusion Market, Goody Goody’s, Hyde’s Nice N Easy (Lake Flower Avenue and Broadway), Janie’s for Hair, Kinney Drugs, Lakeview Deli, McKenzie’s Grille, NBT Bank, Post Office Pharmacy, Rice Furniture, Saranac Lake Adult Center, Saranac Lake Area Chamber of Commerce, Saranac Lake Wine & Liquor, Saranac Village at Will Rogers, and TOPS Markets (Church Street and Lake Flower Avenue). Buttons will also be sold throughout the Winter Carnival at carnival headquarters located at the ROOST office at 193 River Street. They’re also available through mail order by sending a check payable to the Saranac Lake Winter Carnival Committee to Barb Martin at 230 Broadway, Saranac Lake, NY 12983. Past Winter Carnival buttons are also available for $5. For more information contact Barb Martin at 518.891.2382. There is an additional cost for shipping based on the quantity of buttons ordered (1 – 5 $3, 6 – 9 $5, 10 or more $7). Cartoonist Garry Trudeau has also created the 2018 Winter Carnival poster. 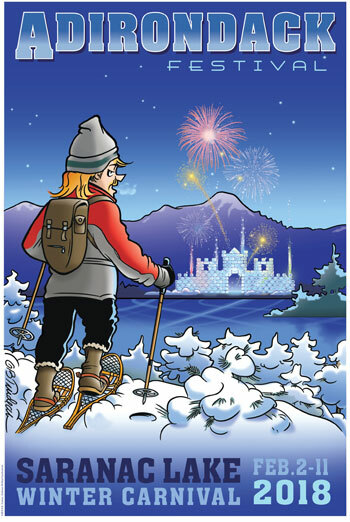 Like the button, the poster is Adirondack-themed, showing character Zonker looking out at an Adirondack mountain with fireworks in the sky and the Ice Palace in the distance. Trudeau has signed 100 posters which cost $65 each (including tax). There is also a shipping cost if you choose not to pick the poster up. The signed posters will become available to purchase on Monday, January 15th. To buy one, contact Jeff Dickson at casjdcksn@aol.com or at 518.891.4344. If you’ve bought a signed poster in the past, you should contact Dr. Dickson to continue the numbered series. Any posters leftover will be made available to the public on a first come, first serve basis. You can contact Dr. Dickson to be put on the waiting list. A raffle will be held for signed poster #1. Sales are limited to 100 raffle tickets which cost $5 each. The tickets will be available from Dr. Dickson until the opening of the Winter Carnival on February 2nd, and then they will be available at carnival headquarters until the end of the event on February 11th. Unsigned posters will be for sale at Ampersound and at carnival headquarters. The cost for an unsigned poster is $15 (including tax). There will also be some prior year unsigned posters available for $5. To purchase a poster by mail, contact Dr. Dickson; there will be an additional cost for shipping. The Saranac Lake Winter Carnival has been a significant part of Saranac Lake’s history for many years, having been held annually since the late 1940s and sporadically for many years prior. This is a 10-day, action-packed carnival with multiple exhibitions, competitions, and more.